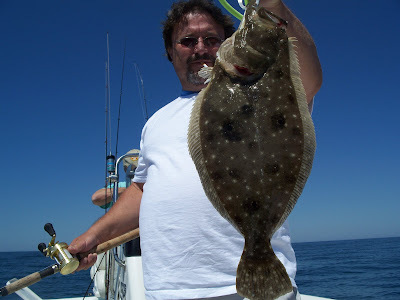 4/29 Flouner, Kings, Tautogs, Sea Bass, Grouper, and More! 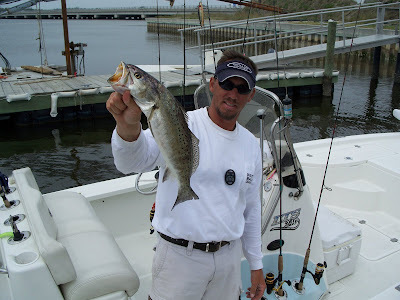 After a slow day on Saturday looking for speckled trout in the backwaters following a ton of rain, both Capt. 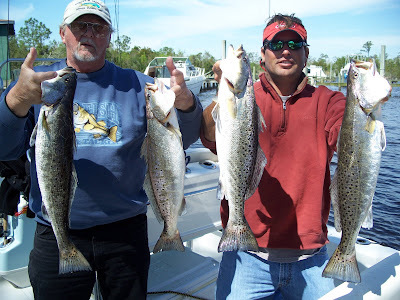 Mike Taylor and myself decided to work the nearshore live bottoms with our Sun/Mon. 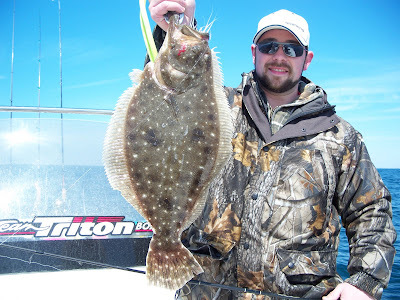 trips to find some Summer Flounder. Sat. 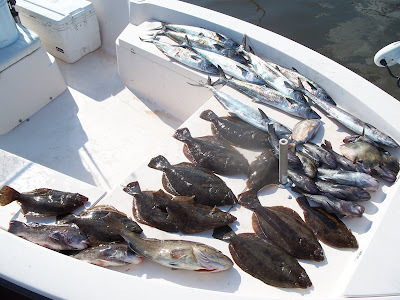 my crew and I scoured a bunch of live bottoms and found some good places holding flounder, Seabass, and more around midday. 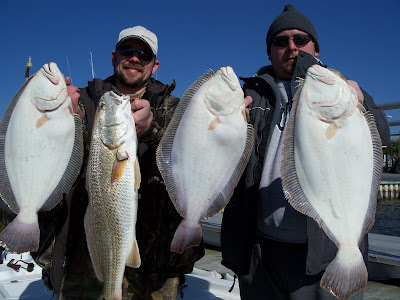 We fished these bottoms hard for a while and hooked-up with 9 flounder, a mess of Sea Bass and Grunts, and a pretty 3lb Tautog. Capt. 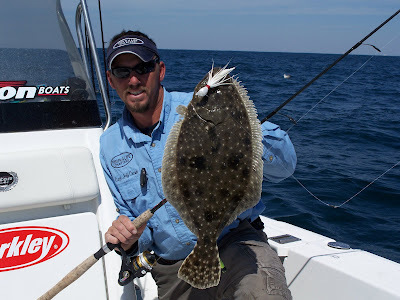 Mike Taylor shot back out to some of these bottoms on Monday and found a better bite on the flounder and they brought back 14 pretty Summer Flounder and a mess of big Seabass and Grunts. The action along the hard bottoms and reefs is picking up quickly. Capt. 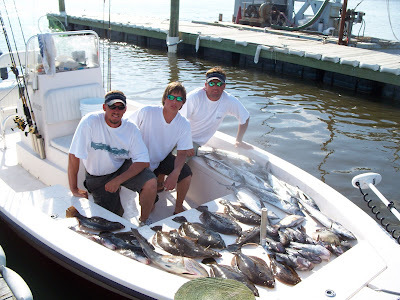 Jeff Cronk- FISH'N4LIFE CHARTERS- 910-326-7512 Capt. 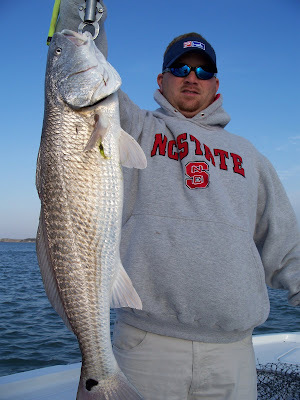 Mike Taylor- TAYLOR-MADE CHARTERS 252-725-2623. 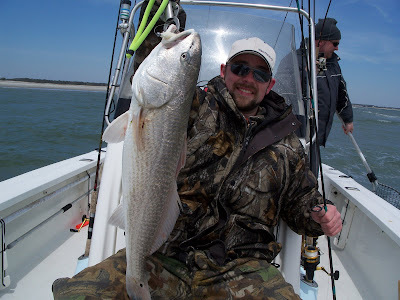 Congrats to the Weldor's Ark and the "Wahoo Challenge"
Sat.4/14 Monster Redfish! Inshore Slams! I had Folden L. and a friend on early this morning. 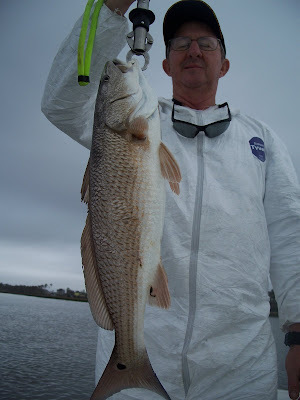 We were trying to get into some redfish before the tide dropped out and the winds picked up. Within 15min. of searching a clear water shoal we found a school of Monster Reds all over 30in. There was probably 700 or more reds in the school. These fish were in 1 to 1.5ft of water and wouldn't stay in one place... we kept them in our sights for a while and were able to land a few before they managed to make it to deeper water. 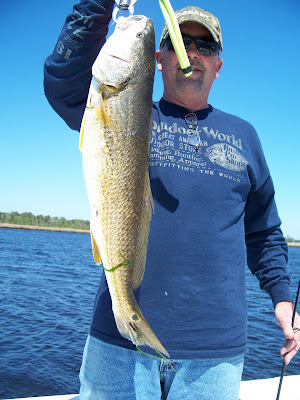 We moved further into the backwaters and went searching for some reds, trout, and flounder. 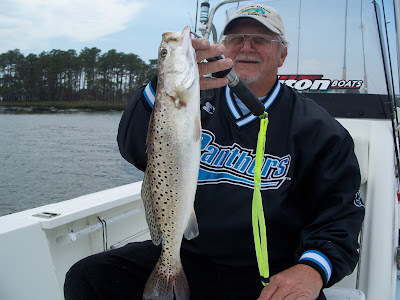 After some scouting we found some speckled trout along some shallow shelly bottom and landed about a dozen. The largest trout was about 3lbs and struck a 4in. Berkley gulp pogie on a light jighead. 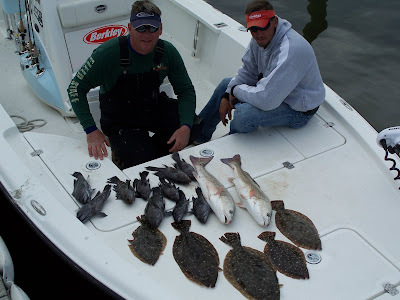 As we moved on we picked up a couple of decent flounder and also found a school of big redfish working a shallow bay. One of the reds in the school had recently got the better of an angler as it was pulling a popping cork around behind him. I had Tim Staley onboard early this morning hoping to get into the speckled trout we found Thursday... Got there at daybreak and so did about 9 other boats. 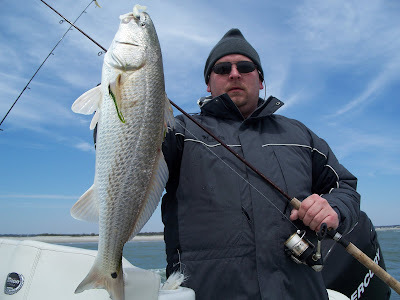 We had one between 4 and 5lbs explode on the surface and it pulled off as I had to drag it out of the way of a boat that wanted to pass (with their outboard running) between me and the shore I was casting too... Seriously irritating as there was about 50yds of channel on my backside... Anyway, the bite wasn't good so we picked up and changed strategy. 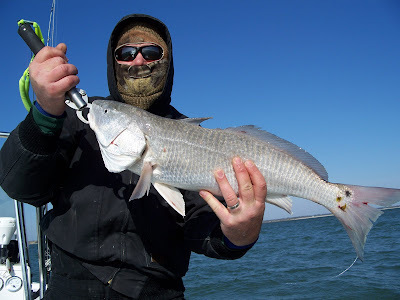 We moved on to fish the flats and shoals and within minutes were casting to a school of about 1000 redfish from 5 to 12lbs in 2ft of Gin Clear water. A couple hours and 50 redfish later we were bored as their was no challenge. 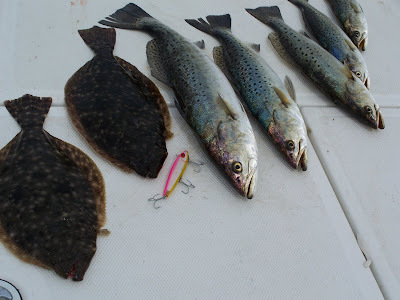 The wind died out so we thought we might be able to find some flounder fishing the ledges and live bottoms since our water temps are several weeks ahead of schedule. We started off jigging some seabass up to 1.5lbs using stingsilvers tipped with Berkley cut baits. The second stop we made we found some flounder. We spent about an hour working this ledge with bucktails tipped with berkley gulp shrimp and landed 5 flounder and lost several more. We had several fish over 3lbs. 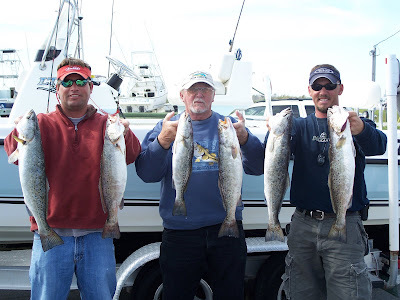 Call FISH'N4LIFE CHARTERS/ Capt. 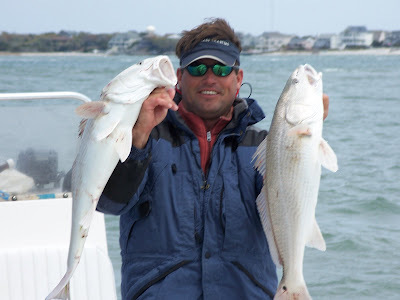 Jeff Cronk 910-326-7512 or TAYLOR'MADE CHARTERS/ Capt. 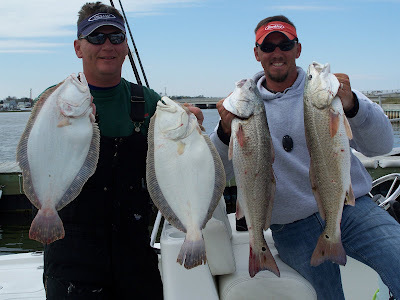 Mike Talor 252-725-2623 for open dates for targeting Flounder, Trout, Redfish, Sea-Bass, Bonito, and Bluefish throughout April. 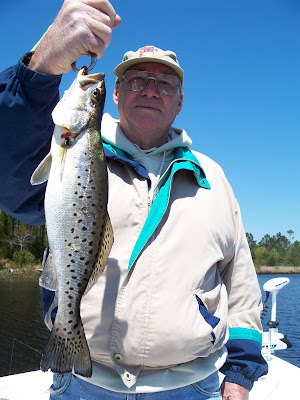 4/4-4/5 5 Citation Speckled Trout!!!! 4/4 My father, Tom Cronk, came into town for the week and we got out on the water and fished through 20 to 30mph winds on Wed. The morning started off good as we boated 4 speckled trout and missed several others early while fishing MHC and the Newport River. The largest Spec was 3lbs and we found a few 1.5lb bluefish to mix it up. We moved on to work some of the backwaters and land a few puppydrum and finished up in the Turning Basis with a bunch of Sea-mullet and a short flounder. 4/5 I had Dad and Capt. Mike Taylor onboard this morning. Mike and I decided to fish one of our favorite Spring BIG TROUT holes for a while this morning. Man that was a good idea today with the winds howling 15 to 20 out of the WNW. 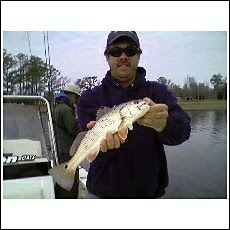 After Mike putting a woop'n on me last time we fished I took a good lead this morning with a 5lb Spec on my 3rd cast. It was back and forth until we quit for lunch but, we managed to boat 7 trout and had 3 others shake the hook out of their mouths as they tail walked across the surface shaking their heads like a mad dog with a rope in its mouth. I wound up with 3 citations, Mike got 1 and Dad got 1. 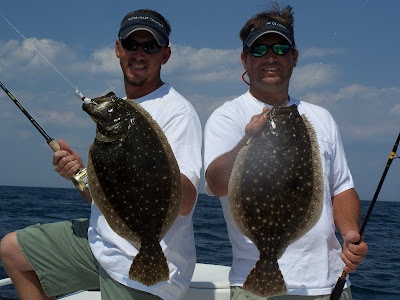 We also landed 3 flounder today. Our smallest trout today was about 2lbs... gotta love that... good job dad on your citation 4.3lber. 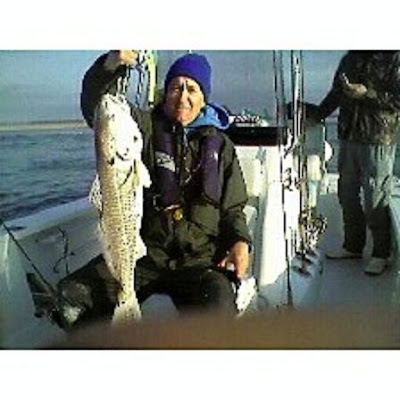 The only morning dates I have left for 6 and 8hr April Gator Trout/ Bontio/ Redfish is April 10th, 11th, and 15th, I still have some 4hr afternoon trips available for targeting Albacore, bonito, redfish, and trout. 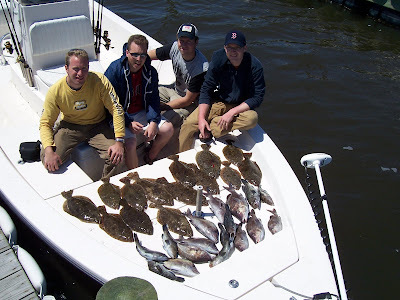 Bookings for Summer Flounder Trips are filling fast. Call as soon as you know your vacation dates to ensure the best possible dates for your schedule.